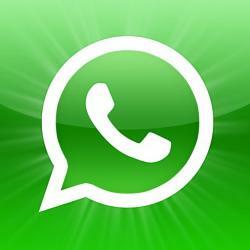 WhatsApp for WP7 is close to come.. Beta Version Available..
After waiting for some time now, whatsapp is confirmed here. There is also leaked beta which some people grabbed it from its private beta (download only made available to selected few..
Here’s some screen shots of it on WP7..
After using the beta for a few days, besides being laggy (its still beta, what do you expect? ), the toast notifications and live tile works great! really looking forward to its full release in marketplace.